Ginny and Blaise was in the Burrow in Ginny&apos;s room and Blaise had a plan about what he and Ginny could do for spending some cute lonely time together. Blaise didn&apos;t really agree about everything, so they ended up fighting. George just happened to walk by Ginny&apos;s room and heard them half shouting at each other.
" I won&apos;t do it Blaise! It&apos;s just too risky!" George heard Ginny yell. " Oh come on! You don&apos;t know before you tried" Blaise argued.
" But this...it&apos;s just...just forget it!" " You know I&apos;m stubborn, Ginny" Blaise said. George has one his prank-ears that he and Fred use to have egen they were eavesdropping.
" No you&apos;re just spoiled. You always gets the way you want!" Ginny argued back. George was worried outside the door.
" Besides..." Ginny continued. " You can&apos;t make me " Okay now George was super worried, he pulled out his wand and was ready to storm in any moment.
" You will do it, Gin. Sooner or later"
That was it for George, he opened the door wide open, and pointed his wand at Blaise. " What are you trying to do with my sister Zabini?!" " Oh Merlin and Agrippa....." Ginny rolled her eyes and tried to step in between them, but George didn&apos;t let her.
" 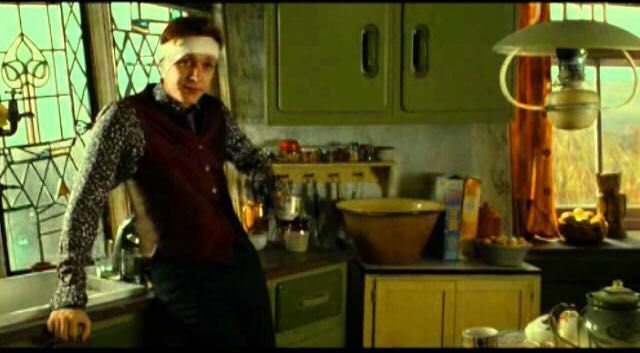 I know what you&apos;re thinking, mr, sir, Ginny&apos;s older brother, but we were just having an argument and..."
" Argument about what?" George now looked at Ginny. " It&apos;s not the S-word, as you think" Ginny calmly explained. " We were talking about bundgyjumping. He wanted to try while I didn&apos;t"
" Really?" 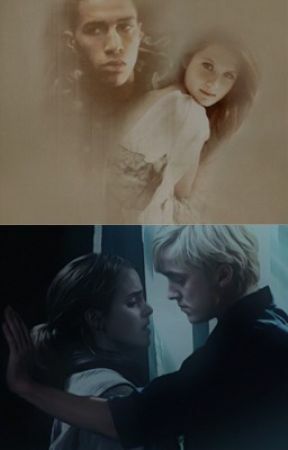 George said and looked from Ginny to Blaise and back to Ginny.
" Really. I swear on my...um...death family member&apos;s grave "
" You better" George said and lowered his wand. Suddenly the heard someone knock on the door and a familiar voice. Ginny who immediatley recognized the voice ran out from her room and out to the kitchen.
" Oh my god what are you doing here?!" She said and flew into the arms of her old friend.
" Just wanted to visit!" He said happily and hugged her back. George and Blaise was also now in the kitchen. George just smiled but Blaise shot him a cold look.